Adnan Sarwar, who debuted with Shah a few years ago, is back with another movie based on a true story. It is the story of the first female biker, Zenith Irfan, who travelled to Khunjerab on a bike all by herself. 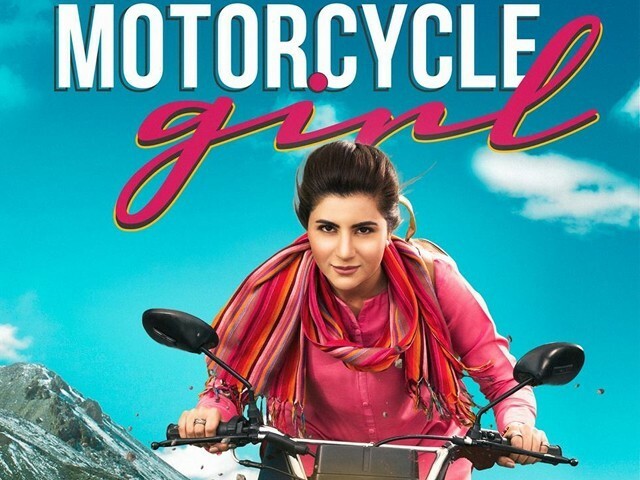 Motorcycle Girl is amongst the most awaited films of Pakistan; not just because Sohai Ali Abro plays the lead, but also because the movie is a tribute to women empowerment and tells the tale of how women can do whatever they set their minds to. Motorcycle Girl narrates the story of Zenith (Abro), who works in an agency, and because of her clumsiness and careless attitude, she is disliked by her boss (Sarmad Khoosat). Upon discovering her father’s dream of travelling from Lahore to Khunjerab on a bike, Zenith wishes to fulfil his wishes. Her love for bike rides does not fare well in the society, as bike riding is still considered a “manly” activity in Pakistan. The story proceeds and Zenith gets engaged to Zafar (Ali Kazmi) and asks his permission to go to Khunjerab on a bike trip. Zafar seems comfortable with the idea, but tells her it is only the first and the last time she will go for such a trip. Her mother and brother, on the other hand, fully support her to go on the journey alone. The entire story of Motorcycle Girl revolves around Zenith’s journey and how she breaks social barriers with her brave soul. Abro is quite good, and gives an earnest performance. She specifically stands out in her monologues, which she handles superbly. However, she fails to make much of an impact in the first half of the movie, with the scenes in her office in particular being quite boring. Khoosat gives an exceptional performance in his limited scenes; he is very believable as a threatening and shrewd boss. Kazmi also impresses in his brief role and underplays his part with extreme ease and flair. Since Abro was our star lead, most of the cast took a backseat, including Samina Peerzada, who gets a very limited scope in the movie despite playing Zenith’s mother. Hadi bin Arshad is good as Sohai’s younger brother and bears a strong screen presence. The surprise package of the film, however, is Sarwar, who has improved immensely since Shah. The music of Motorcycle Girl fails to standout or get noticed by the audience. On the contrary, the dialogues are effective and the script also does justice to the matter at hand. The movie has many emotional scenes and most of them are heart-warming, thanks to the acting chops displayed by the cast. However, the fact remains the film is a bit lengthy and drags on for a while. A good chunk (30-40 minutes) of the movie could have easily been chopped off to make the film tighter, more interesting and more engaging. Sadly this was not the case, leading the audience to yawn even before the interval arrived. There is a fine line between humour and uncomfortable gestures. Pakistani films have recently been obsessed with “toilet” humour, such as the sound of flatulence. Perhaps our filmmakers believe such jokes guarantee laughter. The fact, however, is that Pakistani filmmakers have not yet learned the art of executing and dealing with this particular brand of humour, which is perhaps why it is best if they, including those behind Motorcycle Girl, should refrain from such jokes for the time being. Motorcycle Girl talks about women empowerment, gender roles and the harassment faced by women in their day-to-day lives, making it increasingly relevant in today’s time. It perpetuates the idea that rather than witnessing change, one should contribute to it, or better yet, lead the change in society. Thus, though the concept of the movie is good and is not lacking, the execution is somewhat half-baked. Women will definitely love Motorcycle Girl because it is a female-oriented movie, which is seldom seen is Pakistani cinema, and it highlights impressively the multiple aspects of a woman’s life in the country. However, the movie will have a tough ride at the box office, because it fails to be a mass entertainer like Cake, and is hence quite likely to struggle when it comes to pulling audiences in the long run. 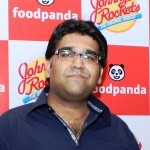 Hats off to Sarwar for bringing another fresh and original story to our industry. Direction wise, the entire team tries to give their best. Watch Motorcycle Girl if you want to support independent filmmaking in Pakistan. It is definitely not the best movie made here, but given its limited budget, is a decent attempt. Films like this should have more depth and emotional value attached, considering the subject matter, to make a greater and more heartfelt impact. At the end of the day, audiences love a movie that makes them happy; a movie they not only watch, but feel, and in that endeavour, Motorcycle Girl is not as successful as one expects it to be.